Search for the latest homes, condos, lots for sale in Seacrest, FL. 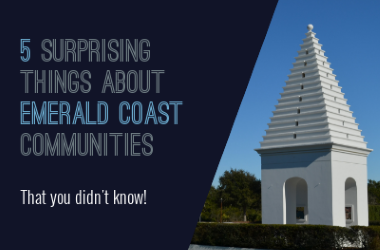 Learn more about the Seacrest community with our local Seacrest Beach Guide. Explore other 30A communities and listings. Along Highway 30A between Alys Beach and Watersound is the beach community of Seacrest. From beachfront homes to condos with a view, there is a variety of housing options to choose. For shopping lovers, visit Peddler's Pavilion where small boutiques dot the storefronts. Stop at one of the many unique restaurants that have become staples. But, if shopping isn't for you, rent one of the colorful bikes and breeze by many of the colorful Seacrest homes. For those looking to get outdoors, Deer Lake State Park and Camp Creek Lake are great options for exploring. Along both of these, you can spot rare birds along many of the walking trails. In short, for those looking for a little bit of everything, this community has it. The listings on this page include homes and real estate in Seacrest Beach, Florida. If you’re interested in scheduling a showing or learning more about any one of these homes, simply fill in your contact information and click the “Request More Info” button. Our team is here to provide you with any information you need, including disclosures, the sales history of a property and nearby market data.